Quilting There are 27 products. Quilt Patterns from Aunt Marthas. Has both applique and pieced quilt patterns. Quilt Lover's Delight, No. 3540. 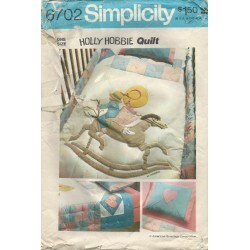 Beautiful floral, geometric, bride applique and even a dog and cat crib quilt. 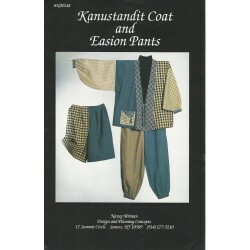 You can sew something beautiful, fun, warm and useful with these patterns. This is a nice, vintage pattern book from Aunt Martha! 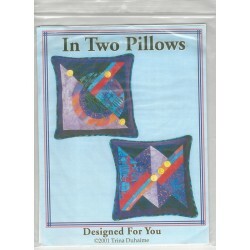 Quilt Patterns Duhaime In Two Pillows. Designed For You and Trina Duhaime. You can sew 20 inch pillows with these patterns. Nice geometric patterns with choice of circles or triangles. Quilt a nice pillow for your home. Or, enlarge it by using this pattern for a quilt or ??? Nice quilt patterns from Designed for You and Trina Duhaime! 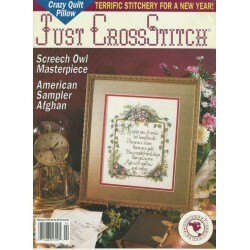 Just Cross Stitch magazine patterns. February, 1993 issue. Plenty of cross stitch patterns and ideas for your next project. Even includes a Crazy Quilt Pillow pattern. Great for gifts or home decorator items. There is plenty to keep you busy in this vintage, Just Cross Stitch magazine! 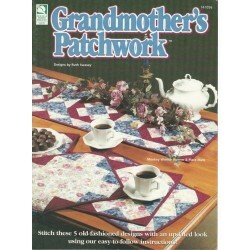 Grandmothers Patchwork Quilt pattern booklet. Designed by Ruth Swasey. 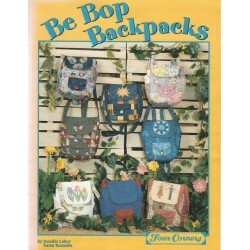 This pattern booklet has five old fashioned patterns with an updated look. Easy to follow instructions. Make a beautiful table runner, placemat, wall hanging or quilt with these patterns. Out of print. 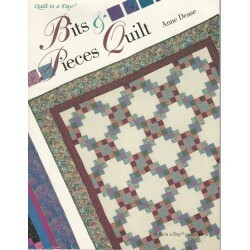 This is a nice quilt pattern book from Ruth Swasey and House of White Birches! 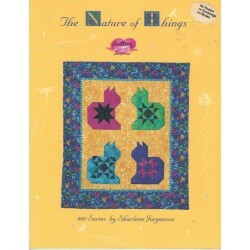 Nature of Things Quilt pattern book. 900 Series by Sharlene Jorgenson. Full of quilt patterns with a nature theme. Not only does it have cats, it has Lady Bugs, Dragon Flies, Angels, Frogs and more! Complete with templates. Out of print. 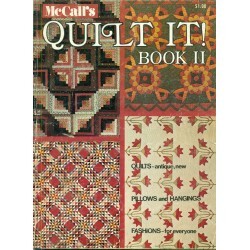 This is a very nice, quilt pattern book whose motifs involve nature! 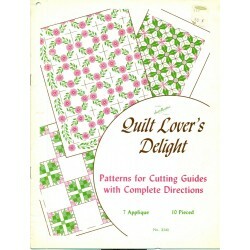 Quick Quilting pattern book by Kim Ritter. 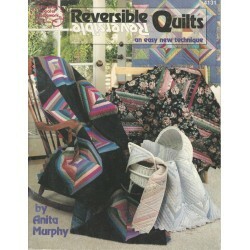 Includes information on rotary cutting, machine piecing, machine applique and machine quilting. In addition to the 20 quilt patterns, there are step-by-step instructions. Plenty of shortcuts too. These easy to make projects are perfect for beginners. 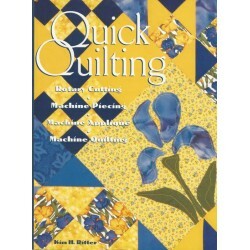 A nice, Quick Quilting book by Kim Ritter! McCall No. 180 Kaumagraph transfer and applique pattern. Charming, 1930's motifs. One for each day of the week. Shows a Sun Bonnet Sue doing daily chores. Not just for tea towels, these motifs would make a nice quilt or any other item you can dream of creating. 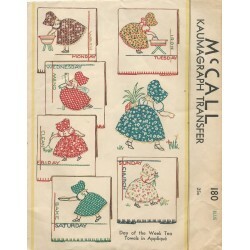 A nice applique and transfer pattern from McCalls and the 1930's! Laura Wheeler quilt pattern No. 1458, Grandmother's Prize. 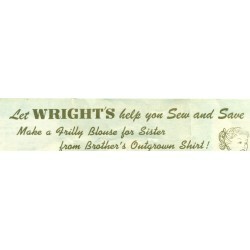 Sew a sweet and cute quilt with this vintage sewing pattern. Applique design with flower pots on each block. This pattern has five different fabric pieces. For twin and double size beds. 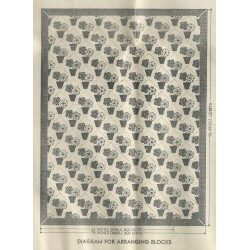 A charming quilt pattern from the mail order company of Laura Wheeler and the 1930's or 1940's! Creative Traditions Koi Pond Rings quilt pattern. Designed by Patti Hyder. Complete instructions on how to create a stained glass effect with fabric. Sew a nice lap sized quilt or wall hanging with this pattern. The size would be perfect for a lap quilt or wall hanging. 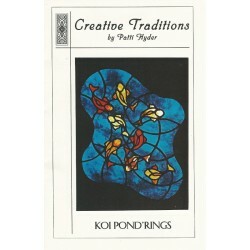 Koi Pond Rings is a beautiful vintage pattern from Creative Traditions! November block from Stitch Connection Xmas quilt pattern. No. 11SC. A piece star, with Santa and Thanksgiving turkey applique. 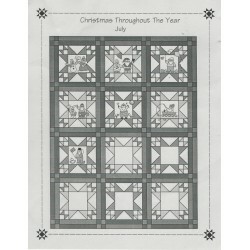 November block for the Christmas Throughout the Year pattern. Sew a charming Santa quilt with this pattern. Would even make a nice quilt with this one block. From Stitch Connection and designed by Lynda Howell! 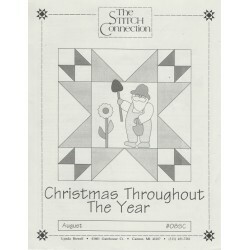 Stitch Connection Christmas quilt pattern. No. 10SC. October block from block of the month club. 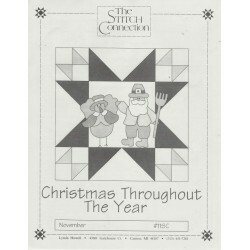 Includes Santa and Halloween applique on pieced star. From the Christmas Throughout the Year pattern. Designed by Lynda Howell for Stitch Connection. You can sew a nice quilt with this block. Or, collect them all and create a quilt for the whole year.